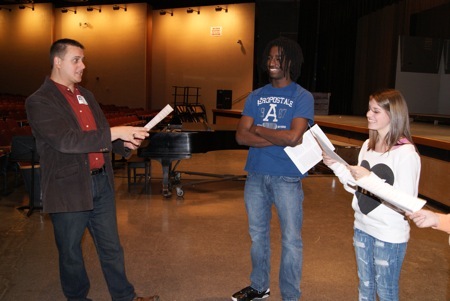 Voice Coaches’ Director of Communications Mike Spring was recently invited to Mohonasen High School in Rotterdam, New York to speak to the school’s theater department about voice over acting. Over the course of an hour and 20 minutes, Mike talked to the students about the voice over industry, techniques for conversational reading, what it takes to become a voice actor, VO demos, and much more. 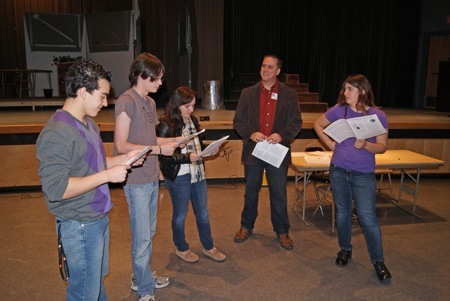 Mike took the kids through several read-throughs of commercial copy, acting as a producer to give them a sense of what the voice over experience is like. Voice Coaches is proud to have had the chance to share our exciting field with such a talented and interested group of students! ← Voice Coaches Team Member Voices American Airlines, Audiobooks!